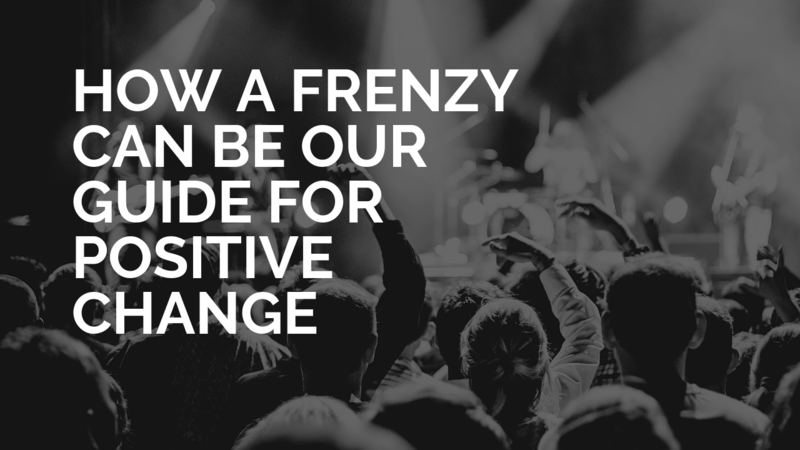 How a frenzy can show us why we can be positive for future change. Thankfully, there is an abundance of optimistic examples of positive global shifts to keep us inspired to search for and take action towards a sustainable future. To enable us to see it, we need a Rosling-like reflection of big data, a Godin-like frenzy and a good sense of review on great shifts we already saw happen. A good sense of review on great shifts we already saw happen. Table 5 in the (Willett, Rockström et al. 2019) lists key changes over the last century from HIV/AIDS to tobacco controls where science illustrated damaging results and social action was taken. The authors called this table ‘Reasons to be Cheerful of systems change and systems action’ and is certainly a welcome reasoning for those working on goals for the future. Clearly keeping positive change in mind is key, and Hans Rosling’s Factfulness book which was published last year is another contribution to keeping the chin high. Rosling demonstrated with publicly accessible world facts on how the world has inched along to be less poor, more healthy and less dangerous than it once was. A fantastic contribution to critical thought is Rosling’s simple 10 rules of thumb and the request to consider data when we see it in context to what it wants us to see. Personally, I love his #7. 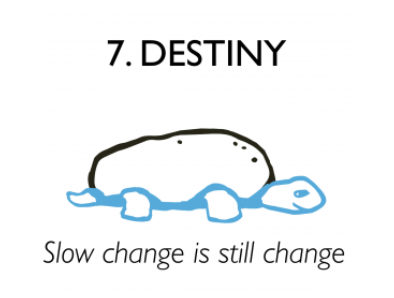 Some might call change a frenzy, which is what Seth Godin did this weekend in his blog. ‘There was an outcry when they banned cigarettes from bars in New York. The restaurant owners were certain that disaster was imminent. And there was panic when we began to switch to LED bulbs, with concerned citizens and opportunistic politicians proclaiming that it was the end of civilization as we know it. That last sentence got me by the throat when I read it. When I hear the IPCC call for significant and urgent action IPCC Report (IPCC 2014) and reflect on the #FridaysForFuture marches around the world. 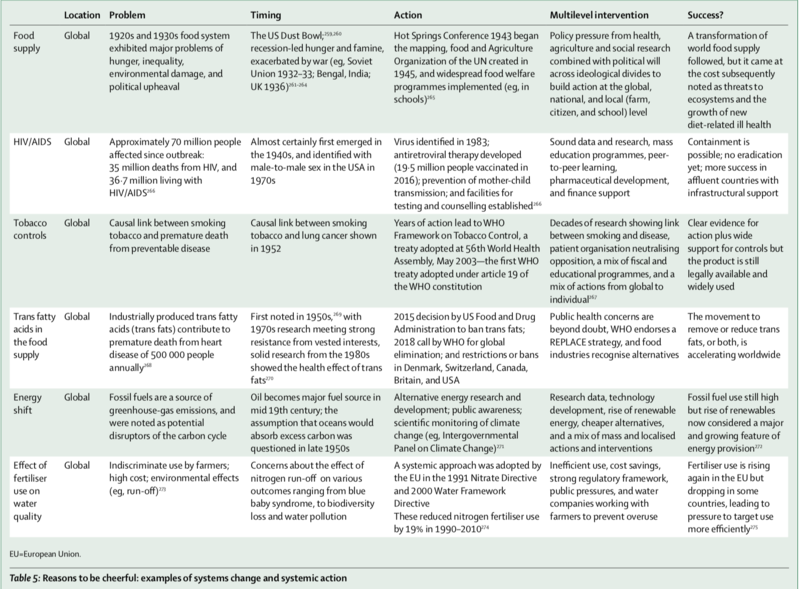 To create this ‘sense of urgency’ required to make deep and impactful changes to our economic and consum-ing behaviours, we need to keep in mind the EAT Lancet’s positive examples of the past where we took action and in a frenzy, actually made the changes required.